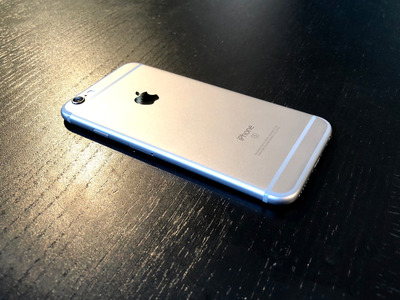 Apple admitted Wednesday that it had been throttling the performance of older iPhone models. The company says the action is meant to keep older devices functional and prevent an issue with older batteries. Opinions on the matter have been polarising, but Apple has said it will continue the practice. Social media has been abuzz amid news that Apple has been intentionally limiting the performance of older iPhone models. But what does that mean, and why is that important? Here are all the important details to know. Apple on Wednesday said it has been throttling the power performance of its iPhones. The smartphone maker says it’s to prevent older models from malfunctioning as their batteries age. But the trouble is that Apple admitted to slowing down older iPhones only after several reports had accused it of doing so. Over the past few months, people had seen their older iPhones become faster after replacing the battery. And earlier this week, data from a top iPhone benchmark developer seemed to confirm many people’s suspicions. Q: What has Apple said? In other words, older iPhones tried to draw more power than their batteries could handle, causing them to suddenly shut down – so to prevent that, Apple is now controlling how much power they can draw. Simply put, older batteries can’t provide as much power as newer ones. Q: What caused Apple to come forward with these details? Benchmark data released by Geekbench on Monday indicated that older iPhones that had batteries replaced saw significant increases in power performance. Geekbench also found that, compared with a typical distribution for a full-strength phone, which should show one big peak, distributions for the iPhone 6, 6S, and 7 running a version of iOS newer than 10.2.1 had multiple peaks, suggesting a software limitation was holding those devices to a slower processor speed. There’s a longstanding conspiracy theory that older iPhones’ performance suffers when new iPhone models come out to encourage people to buy the latest iPhone. However, Apple says it has been throttling devices for only about a year. Q: What do people think about it? Some say Apple’s admission is proof that consumers should not trust the company – they say it’s intentionally tampering with phones to drive sales. Others say Apple’s battery strategy benefits people who prefer to keep their older iPhones. If the phones stay functional a with a lower power output, they won’t spontaneously malfunction and cause people to have to spend more money on a repair or replacement. And some say Apple should have been transparent about its practice so consumers could decide whether to keep their devices with a depreciated battery or purchase a new model. Q: If my older iPhone feels sluggish, is there anything I can do? This whole “Batterygate” issue came to the forefront after people discovered that older iPhones curiously became faster after replacing the battery. So before you decide you need to buy a new phone, try replacing your current one’s battery and see if that improves things.